The Limerick Area of the Irish Red Cross was founded in 1940 with just a small number of members. 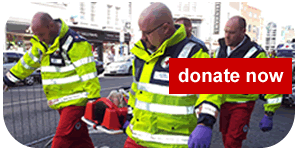 Now we have more than 600 members actively volunteering for the Irish Red Cross in Limerick City and County. The organisation offers a range of services including first aid and ambulance cover at events, first aid training, health and social care support and a Red Cross Youth section. As part of the International Red Cross and Red Crescent Movement, we endeavour to abide by the Seven Principles of the Red Cross.